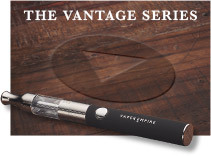 If you’re looking for a popular vaping device that’s easy to use and looks and feels just like traditional tobacco cigarettes, then the V-Pack II is a fine choice. 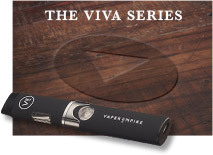 This device uses a unique and distinctive design that is completely different to everything else in our range: it comprises a cig-a-like vapour pipe, portable charging case, spare battery and space for up to three premium Vaper Empire e-Liquids. 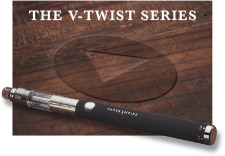 The device itself is an innovative development from the original design, blending a traditional cigarette with a modern vaping device. Instead of using a replaceable coil and refillable clearomiser, the V-Pack II takes advantage of custom disposable cartomisers. This means that when you vape, you simply puff until the cartomiser is depleted before disposing of it and replacing it with a new one. 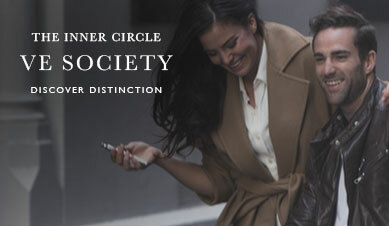 For the typical smoker, each cartomiser lasts for around 300 puffs. In terms of new cartomisers, refills work out to an average of $3 a day – a huge saving when compared with regular smoking. The whole ensemble is an economical alternative, not to mention effortlessly simple and aesthetically striking. Choose from Tobacco, Menthol, Watermelon, Blueberry, Coffee, Apple, Mango and Whole Leaf Tobacco e-Liquids, and consider a 3-month flavour kit if you want to ensure you never run dry. If you’re purchasing your first vaping device, the Deluxe Starter Pack offers exceptional value with a charging case, two battery stems, four packs of five cartomisers, a mini USB cable and a wall adapter – everything you need to vape straight out of the box. 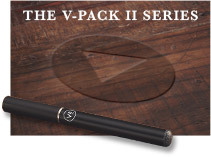 The V-Pack II cig-a-like device is impressive, but it gets even better with the innovative design of the case. 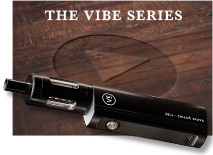 Within the case, any vaper can hold the device along with three spare flavour cartridges and a battery. One of the defining features of this case is that it includes a 1200mAh portable charger for the second battery, allowing you to keep vaping on the go for prolonged periods. When you leave the home or office with both batteries and the case fully charged, you can deplete a battery and recharge it in the case while you use the spare. How good is that? What’s more, the discreet LCD digital display on the front of the case shows real-time power and charging status when activated – otherwise, it remains hidden behind a mirrored surface. Combine this with the spare battery and portable charger you have on hand, and you can easily continue vaping throughout the day without worrying any interruptions. 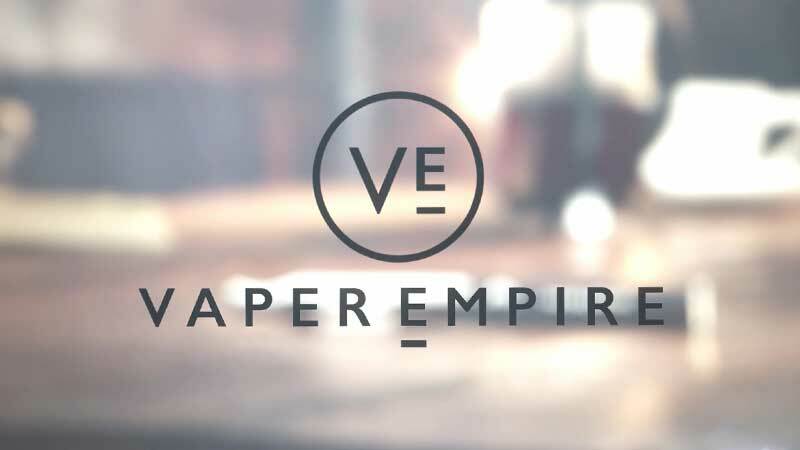 It doesn’t matter if you are a complete beginner or a more seasoned vaper, because we pride ourselves on delivering the highest standards of customer service. 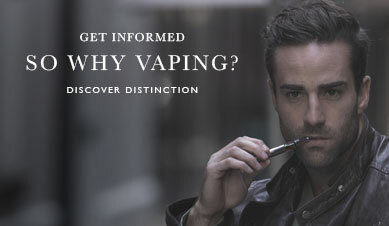 Call 1800 VAPERS (1800 827 377) or enquire online and an agent will get in touch with you shortly to provide you with information you need. If you contact us outside business hours, leave your contact details and we’ll get back to you promptly.